Thousands of custom motorcycle fans gathered at the Carreau du Temple in Paris were given the first look at the latest creation to come from Yamaha's Yard Built project, the Wrenchmonkees XJR1300, 'Skullmonkee'. Racer have drawn considerable attention in standard form already, with design updates inspired heavily by the custom world. A shortened and cleaned frame, narrower fuel tank and smaller headlight pay homage to recent custom creations and also show the potential for further customisation. Throughout 2015 a series of Yard Built projects by select custom builders will focus on the new XJR1300 will demonstrate what is possible through creative use of 'bolt-on' parts, reinforcing the real 'Yard Built' concept instead of dramatic cutting and welding. First up to take on the challenge are two legendary Copenhagen based builders. 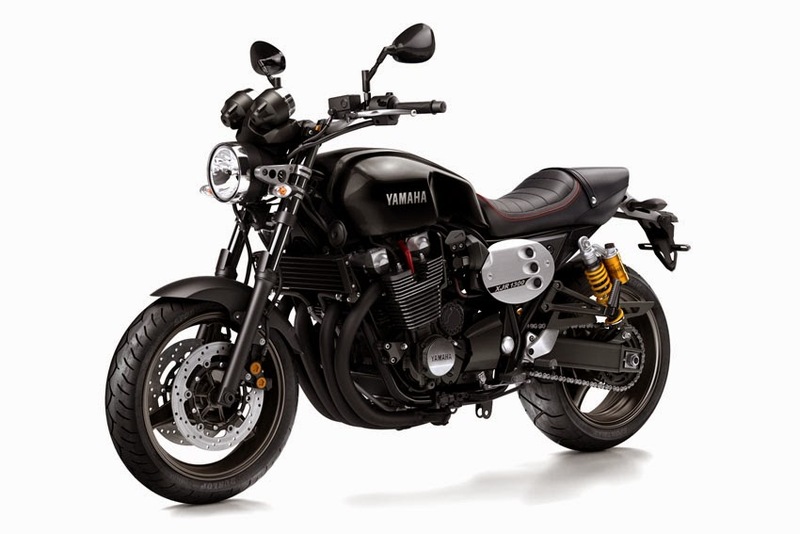 "The Wrenchmonkees provided valuable insight into this latest model of XJR with their earlier collaborations," said Yamaha Motor Europe Product Manager, Shun Miyazawa. "Their Yard Built XJR1300 'Monkeefist' was one of the 'fathers' of the 2015 XJR, providing essential inspiration to the modern design. Because of this influence we didn't feel the need to change the bike drastically, instead focusing on fine tuning and upgrading where necessary to enhance the bike." "We worked hard to ensure we made no radical design changes for the build," added Wrenchmonkee Per Nielson. "Instead focusing on adding our clean style and silhouette with no cutting or welding to the framework." Fellow Wrenchmonkee Nicholas Bech added, "We looked to strip the bike back and removed some pieces to make it look like they had never been there, then from the beginning we were looking to work with other companies to find bolt-on parts that we could modify to create our style." The Wrenchmonkees tracked down and modified the coolest, cleanest and most fitting aftermarket parts to transform the bike. Handcrafted Wrenchmonkees parts, including CNC milled Wrenchmonkees 'Monkeefist style' aluminium triple trees and engine covers were also added. An LSL Titan steering damper keeps everything under control and a Wrenchmonkees custom rear bracket with LED light is the last thing you'll see above a custom 4 into 2 stainless system with Wrenchmonkees/ Spark stainless mufflers.